Grace Primary School is situated on land owned by the church. It was started in April 2012 with 100 grade one students; by September 2013 the enrolment had grown to over 200 students in grades one and two with 8 teachers. As the school strives to hold class size to 25 students per teacher, the present 2 classrooms is inadequate for the number of students. In addition, their goal is to add a grade level each year. The centre aims to address some of the needs of a poverty stricken area of the country. It runs a boys' and a girls' home, a community health education program, agriculture program, and pre-school and primary schools. It also runs a textile centre which offers a training programme for women. 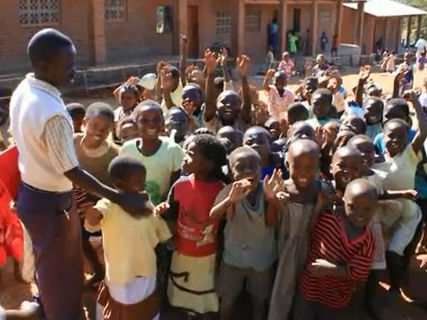 Grace Centre is operated by Circle of Hope International, a faith-based community development organization and partners with groups in the USA, the Rotary Club International and the Grace Alliance Church in Malawi. In progress - Construction of a two classroom block for Grace Primary School at Grace Center, Dowa District, Malawi. Construction materials include bricks donated by the community, cement, wooden trusses, cement window blocks and iron roofing. The classroom block has a wide covered porch in front and each classroom measures 10x14 metres.